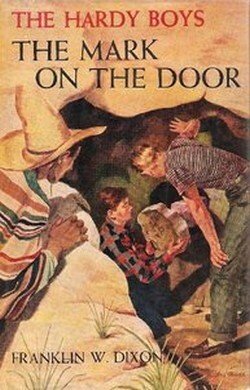 Welcome to the August edition of The Hardy Boys News with a look at upcoming releases and “The Mark On The Door”. 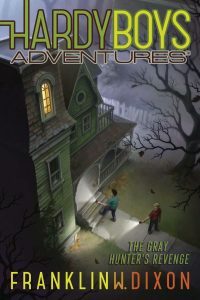 Frank and Joe investigate a supernatural crime in the seventeenth book in the thrilling Hardy Boys Adventures series. One of the Hardys’ favorite writers, Nathan Foxwood, has recently died in a tragic car accident. Now, the press is swarming his house in Bayort to get the scoop on the novel he completed just before his untimely death. When Joe hears that Nathan’s wife is having a giant estate sale, he drags Frank with him. Who could pass up the opportunity to see inside their favorite author’s home? Nathan’s wife says she wants to get away as quickly as possible; strange things have been happening since their first night there and now her husband is gone and she’s sure the house is haunted. But Nathan’s assistant, Adam, is not so willing to blame it all on the supernatural. Valuable things keep disappearing from the house-why would a ghost need money? Adam recognizes the Hardys’ from an article he read and asks for their help. Of course Frank and Joe Hardy don’t believe in ghosts and are positive they can get to the bottom of all this. But when Adam is mysteriously hurt after spending the night alone in the house, the brothers start to wonder; what is the motive for these crimes if not ghostly revenge? Could these brother detectives be in over their heads? 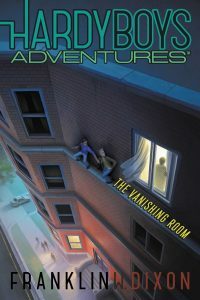 It’s a case of hidden identities for brother detectives Frank and Joe in the in the eighteenth book in the thrilling Hardy Boys Adventures series. Ever since the Bayport Times article about their past cases came out, Frank and Joe have been getting calls for help in solving everything from lost keys to lost treasure. The boys can barely stand to answer their phones anymore. But when Principal Gerther calls, they pick up. Turns out, Principal Gerther’s cousin, Agatha, has noticed a string of strange disappearances in her apartment building. One person after another is entering the apartment next door.and they never come back out. Agatha would know, she never leaves her apartment! Frank and Joe make some inquiries and realize each and every person that has stayed in apartment B3 has never returned home. What’s worse-most of them have left a trail of debt or angry partners behind them. There are almost too many suspects to count! Are these two teenage detectives up for the job? 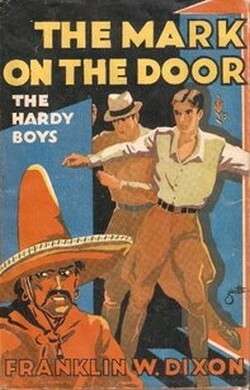 Or is The Hardy Boys reputation about to be tarnished? 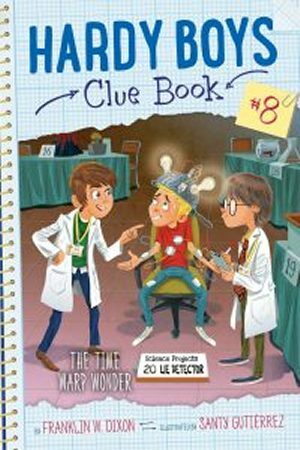 Detective brothers Frank and Joe work to debunk a time travel machine in the eighth book in the interactive Hardy Boys Clue Book series. Bayport Elementary is almost ready for the annual science fair-it’s all down to the final touches. Frank and Joe have collaborated on a detective helmet. It’s the perfect lie detector-just place it on a suspect’s head and the bells and whistles will tell you when they’re lying. But not everyone is as prepared for the big fair. Their good friend Phil has designed a time machine he calls the Time Warp Wonder. He just needs to figure out how it works first. Phil uses Chet’s hamster as a test subject. And the machine really does make the hamster disappear from the cafeteria! It’s just that Phil isn’t sure where the hamster went or how to get him back. Frank and Joe are not so sure the hamster went back in time. They have a feeling their Clue Book will be more help to Chet’s hamster than Phil’s calculations. But the brothers start questioning their instincts when they receive pictures of the hamster in different time periods; dressed as caveman with the dinosaurs, suited up in armor in the middle ages, in a top hat watching Abe Lincoln give a speech. Could Chet’s hamster really be traveling though time? It’s up to the Hardy Boys-and you-to find out! Bayport Elementary is hosting a Mud Run to celebrate spring! A particularly muddy part of the town’s park will be set aside for the race and Coach Lambert has even managed to make more mud by using the park’s hoses and shovels. Frank and Joe can’t wait to splash through the muck. But on the day of the race, the runners are stopped in their tracks by croaking, blurping bullfrogs! Lots of people in the town had been annoyed that the park was being taken over by a bunch of muddy kids. Could someone have sabotaged the race with buckets of frogs? This is probably going to be a “phantom” title and won’t be published. Notes: Revised text PC editions with the Gillies artwork are harder to find. 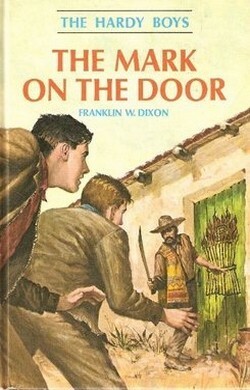 The Hardy Boys and Mr. Hardy travel to Mexico to locate a missing witness in an oil rights trial. Description of current edition: In their motorboat the Sleuth Frank and Joe Hardy search Barmet Bay for a dangerous stranger who has stolen a valuable boat. Suddenly, in the eerie fog, they spot the craft drifting aimlessly out to sea. 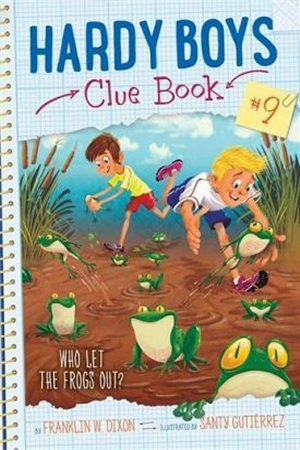 What happens next starts the young detectives and their pal Chet Morton on an intriguing adventure that takes them to Mexico and into the comparatively unexplored desert and mountain regions of Baja California.